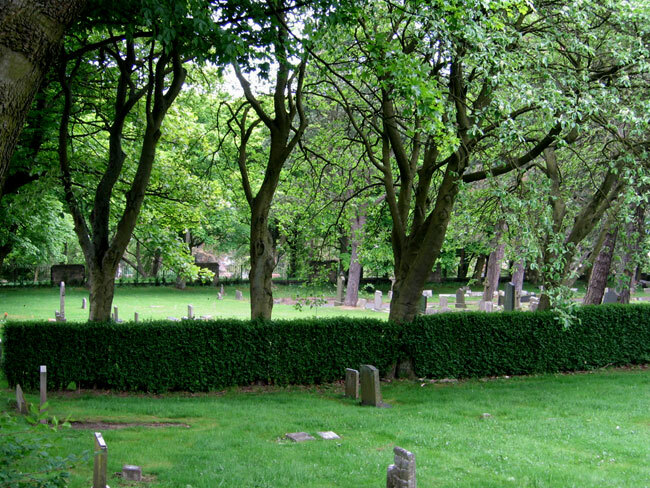 Stanley New Cemetery, contains 42 burials from both the First and Second World Wars. One of the First World War burials is of Private Robert William Moore of the Yorkshire Regiment. We are extremely grateful to Richard Roberts (<richard@nosnailshere.co.uk>) who has forwarded the photograph of Private Moore's grave in this cemetery. Details of Private Moore are shown below, with the photos sent by Richard Roberts. Private Robert William Moore. 44890. 2nd Battalion the Yorkshire Regiment. Son of Robert W. and Isabella Moore, of 11, Oakey's Cottages, Stanley. Died (of wounds) at home 14 October 1918. Age 21. 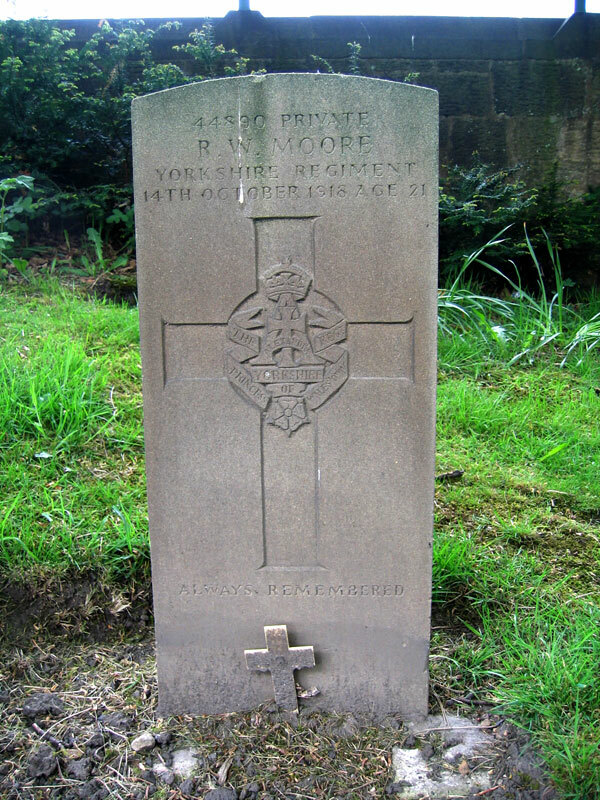 Private Moore's grave in Stanley New Cemetery (the headstone is at the left end of the hedge).